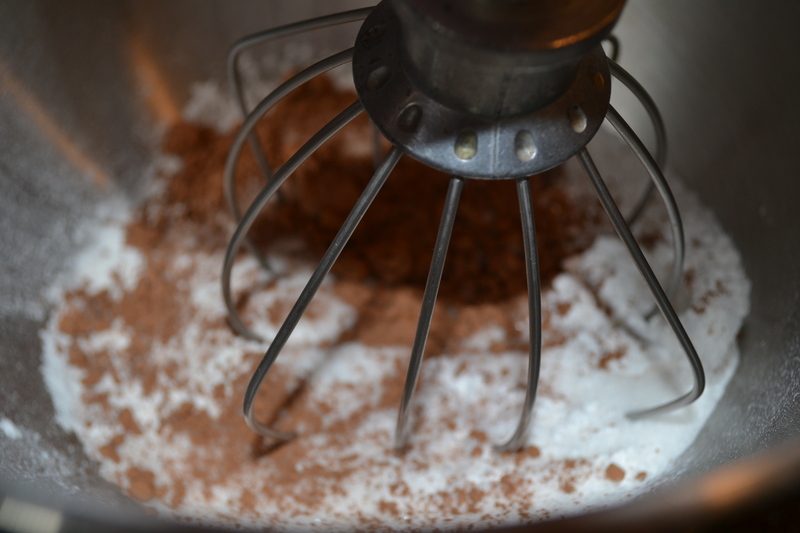 In a mixing bowl, I sifted together the flour, sugar, cocoa powder, apple pie spice and salt. 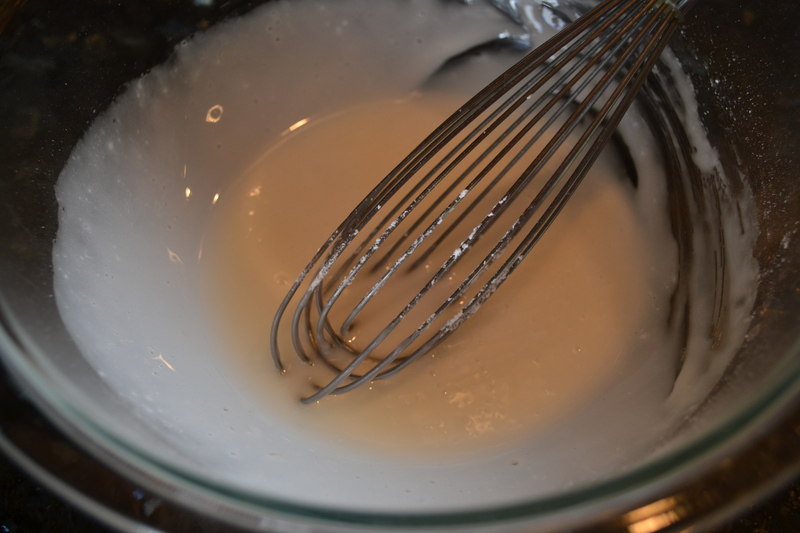 I added the buttermilk, egg and butter and stirred until just combined. The batter was light and airy. 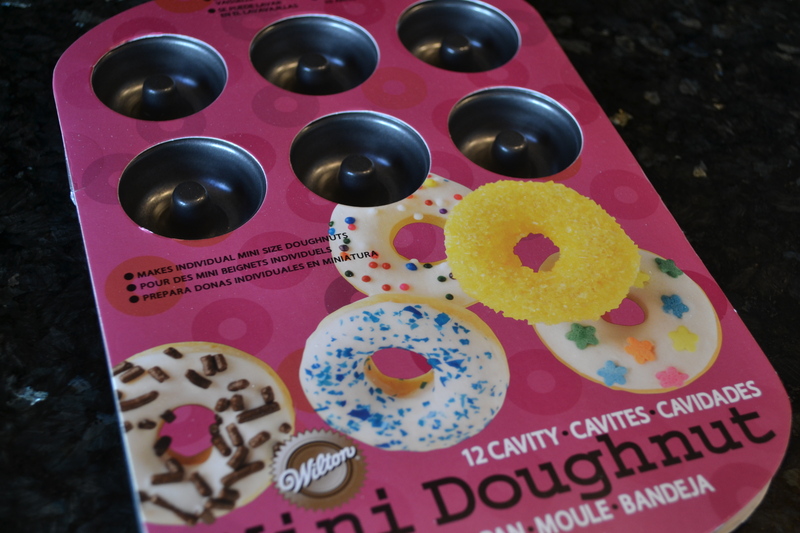 I filled each doughnut cup around 1/2 full. 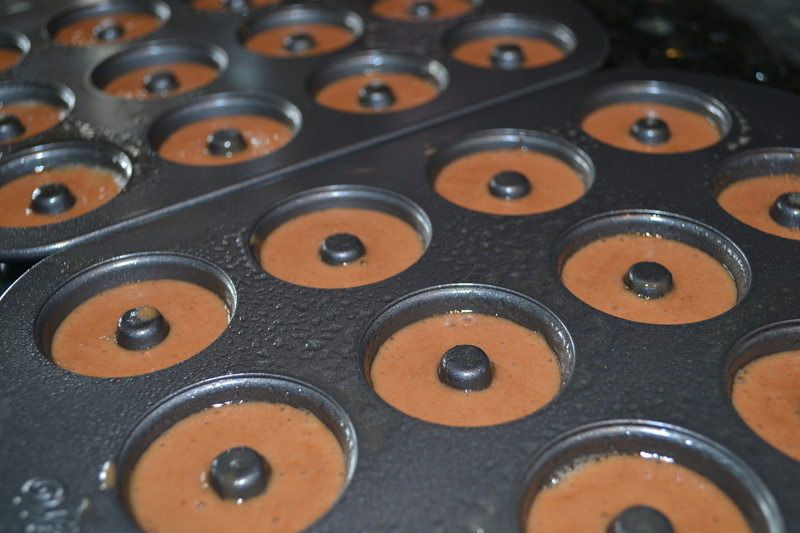 I made sure to clean the center of each cup so the doughnuts would bake with a hole in the center. It was very simple to do. 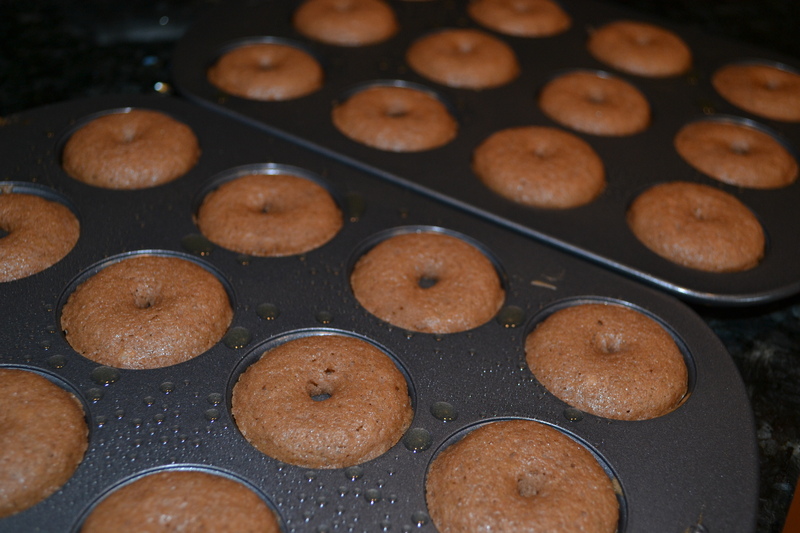 I baked at 425 degrees for 4-6 minutes, until the top of the doughnuts bounced back when touched. 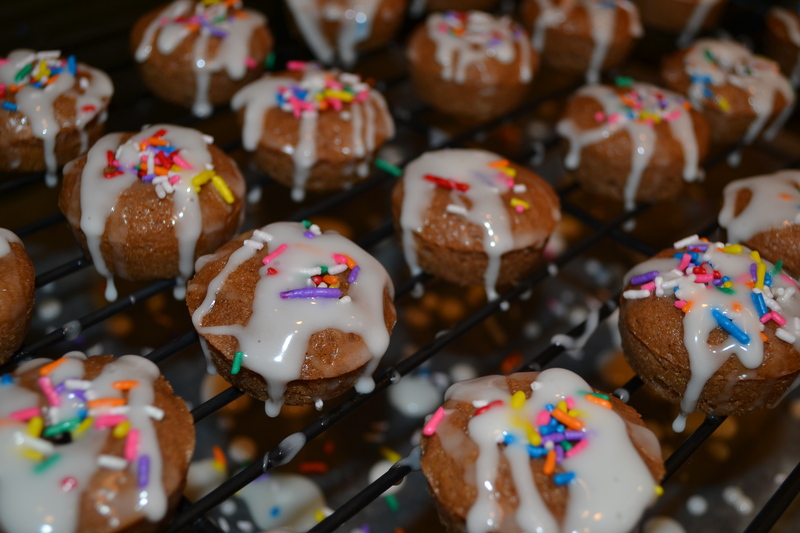 While the adorable doughnuts cooled in the pans for 4-5 minutes, I mixed together the vanilla glaze topping. 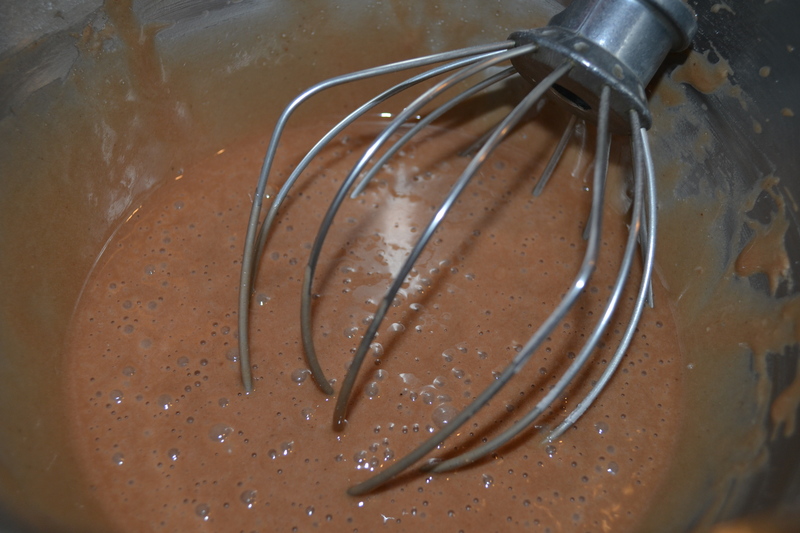 In a small bowl, I whisked the sugar, soy milk and vanilla extract until completely dissolved and thick. 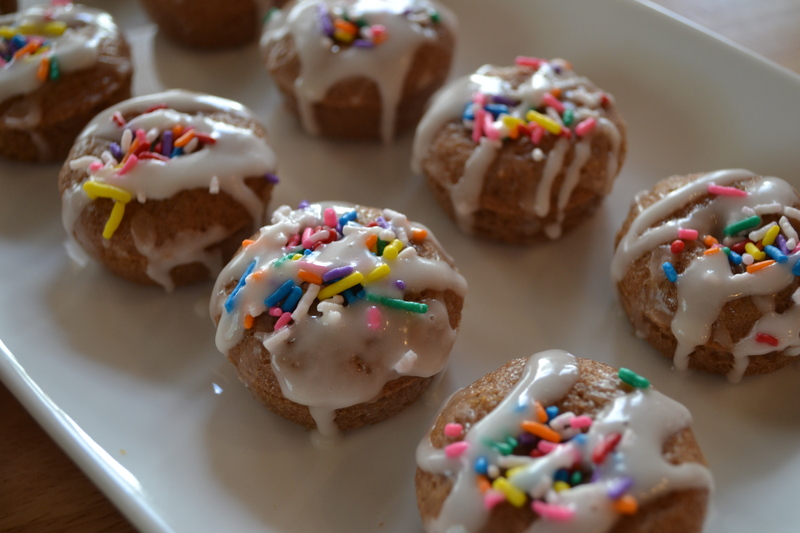 This is the same topping I use for cinnamon buns and it is finger-licking good! 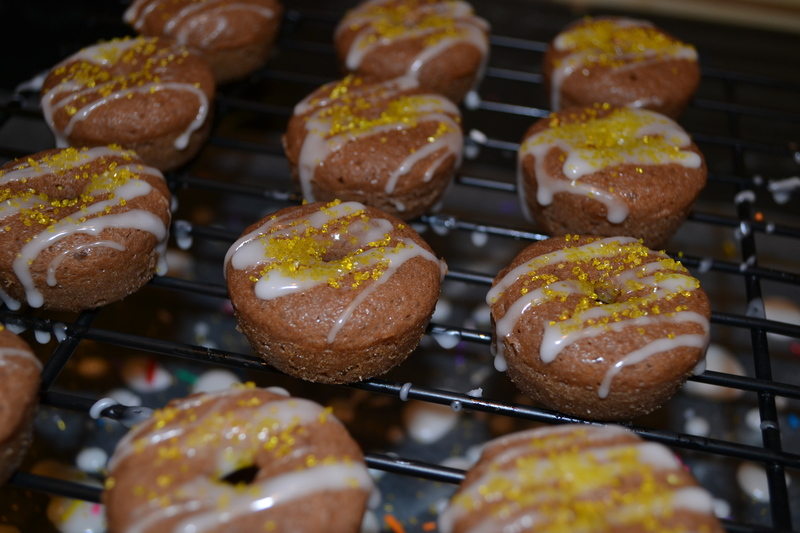 Once the doughnuts were ready, I placed them on a cooling rack and drizzled with the vanilla glaze. Tip: place wax paper or foil underneath the rack to catch the extra drizzle and sprinkles or you will have a major mess on your counter. 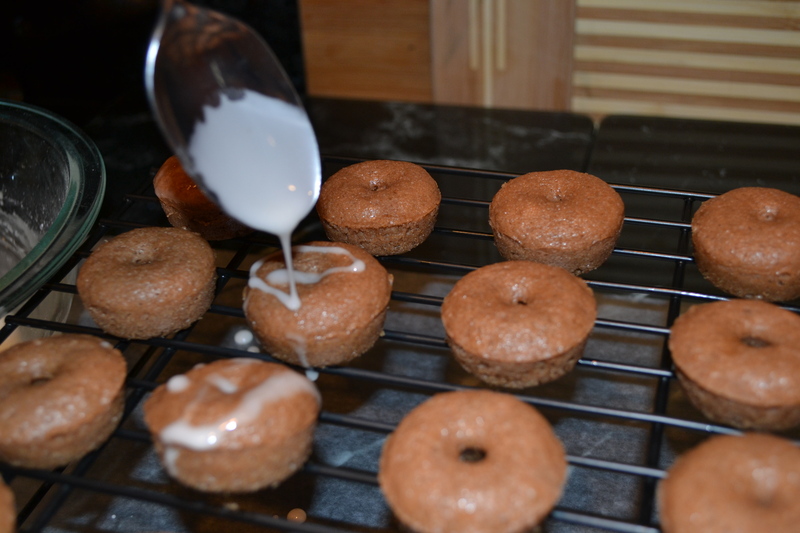 You can dip the doughnuts directly in the glaze if you want to but I thought it would be more exciting to drizzle. Have you tried drizzling? It’s fun! I then lightly topped 24 of the doughnuts with colorful sprinkles for Zach and another 12 with shimmery yellow sugar from Breezy’s in Long Island. I think I enjoyed them more than he did. 36 baked doughnuts later, Zach actually asked for red doughnuts. What a demanding child! 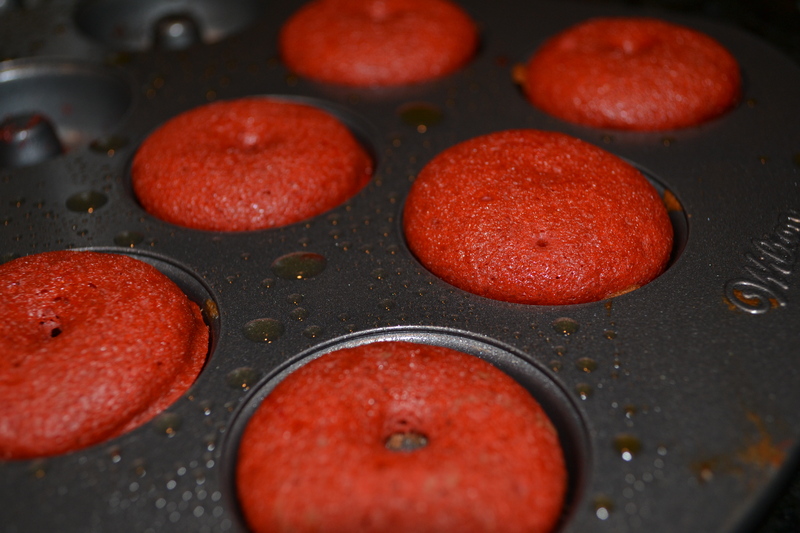 Since I still had 1/4 of the batter left, I added some red food coloring and Zach had red mini doughnuts! And there you have it! 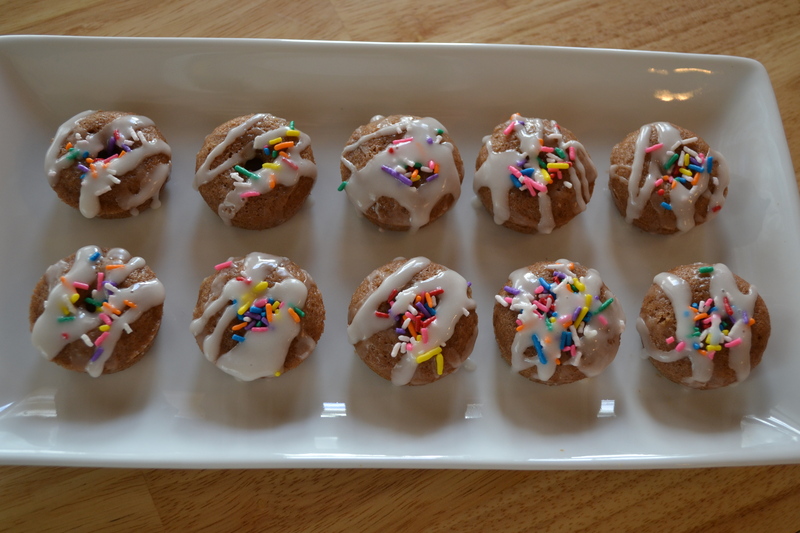 These mini cake doughnuts were delicious and so much fun to just pop in my mouth, one by one. I can’t wait to try out different flavors, such as lemon or cinnamon. What a show-stopper these will be! ← Win a Jack’s Gourmet Sausage Package!